"Remote as Antarctica may seem, every person in the world who gets into a car, eats a steak or boards an airplane is contributing to the emissions that put the frozen continent at risk". 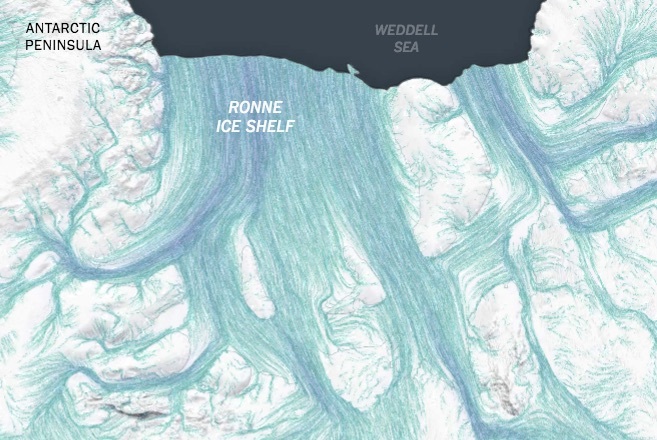 This is a very pretty animation which shows the flow of ice away from the centre of Antarctica. It's featured in an article in the New York Times. I meant to mention it during the Ice Flows Workshop that Anne le Brocq and I lead at the GA Conference.